Lucullus is a set of plates created to help people to cook. It is especially designed for small kitchens, when you do not have enough space to cook properly. How do you put away the onion you have just sliced ? Lucullus is there for that. 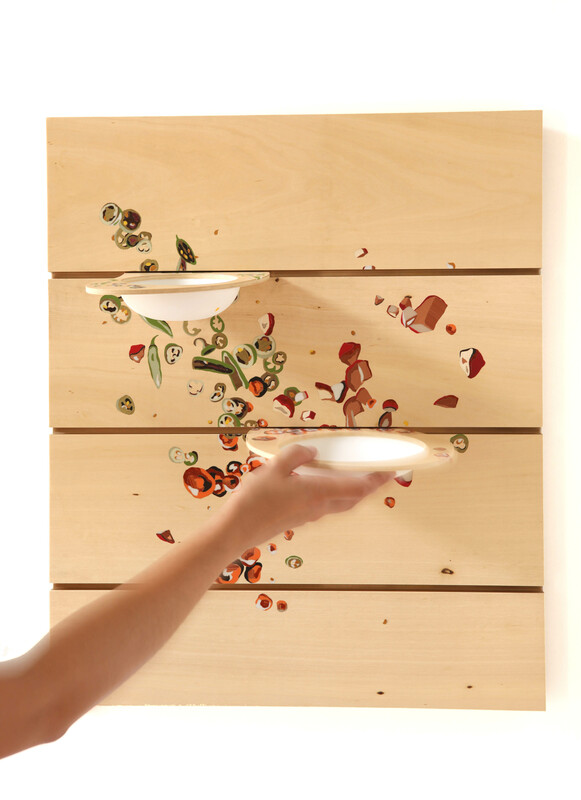 You can put the plates into their wall board and they will stand on the wall. 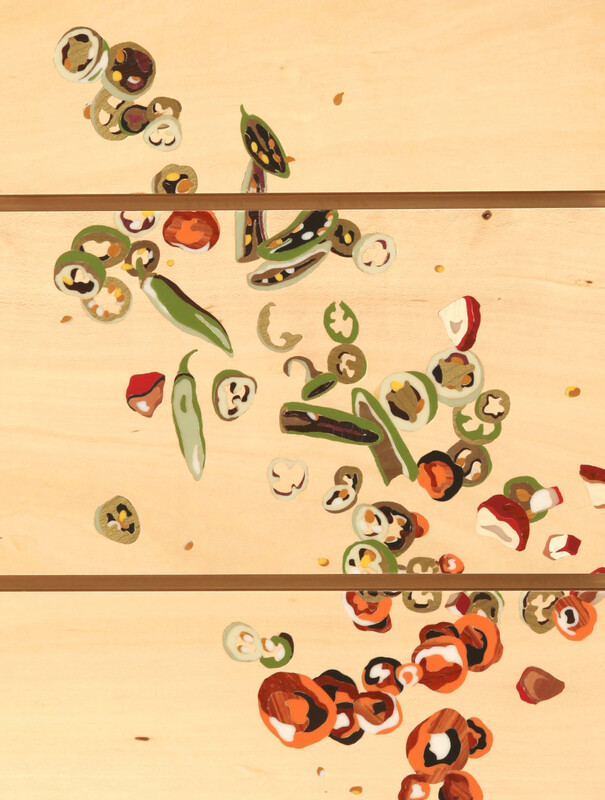 The marquetry represents sliced vegetables and fruits. 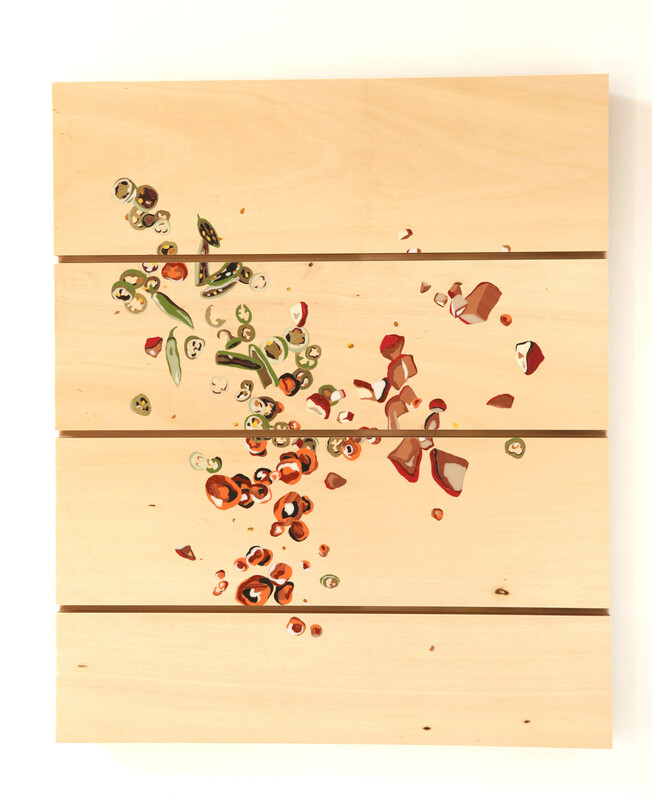 The mix between wood and Corian created an interesting contrast : deep and bright colours with natural veneers. 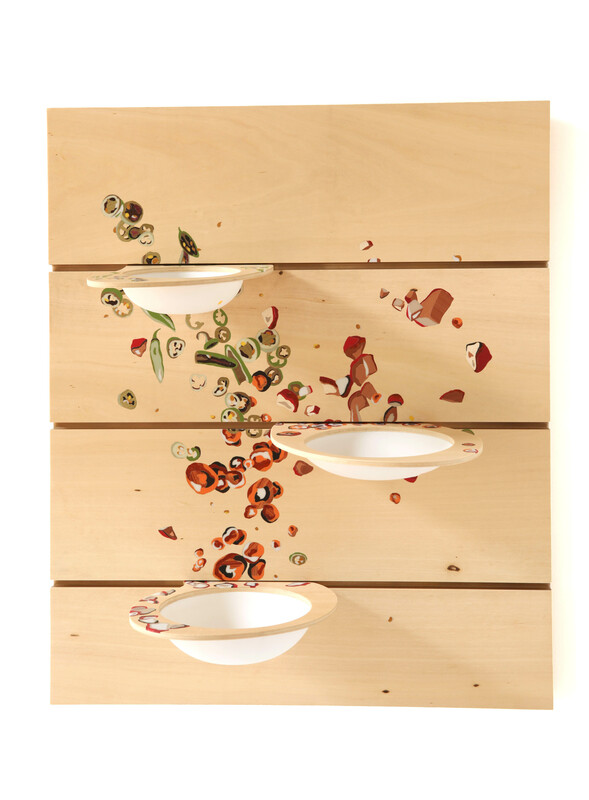 The patternon the plates matches the one on the wallboard, inviting you to plate them into it. At the end, you can use the plates of Lucullus to serve food to your guests.